Gifts to the Margaret Anne (Nan) Griffiths Memorial Fund will support the establishment of a seminar room in Nan’s honour, to be located inside the Azrieli School of Architecture & Urbanism. The room will house her book collection and the collections of other emeriti faculty, Barbara Humphreys and Gil Sutton, all of which have been donated to the School. Margaret Anne (Nan) Griffiths was Professor Emeritus in Architecture. Nan joined Carleton in the mid-70s and taught for 22 years in the school of architecture. For many of those years, she was the sole full-time female faculty member, and served as an exceptional mentor to women students. Her intellectual legacy is broad, but perhaps most significant in the area of urban design. Nan’s intrepid spirit informed her entire life. As a girl she was an excellent athlete and one of the first women to brave the high ski jump at Camp Fortune. She pursued a passion for art at the Chelsea School of Art in London, tried her hand at Lepidoptary, mapmaking, and was the accountant at the Canadian Embassy in Copenhagen, all before attending London’s Regent Street Polytechnic school of architecture. She graduated in 1965 while carrying her first child. After some heady years working in swinging London, the family moved back to Ottawa, where she worked as an architect and became head of Design Services of the newly formed Urban Design Branch of Public Works Canada. By poetic invitation, she then joined the faculty of Carleton University’s School of Architecture, where she taught for 22 years. In the mid-70s, Nan was invited by the National Capital Commission to co-ordinate the first national conference on Women in the Urban Environment. As a passionate advocate for art and urban design, she served on many Canada Council juries, participated in conferences, international and regional urban and architectural charettes, collaborated on diverse design competitions, and wrote influential essays and articles on urban space. In 1993 Nan co-directed a group of students to design and build a Canadian D-Day war memorial in Caen, Normandy. Nan was passionately involved in her community on many levels. She was a founding member of the Centretown Citizens Community Association, and served on the City of Ottawa Planning Committee, Heritage Committee, LACAC, the Public Art Committee and the Cultural Leadership Committee. She was Executive Director of the Board of the Ottawa Art Gallery and a member of the City of Ottawa Arts and Heritage Advisory Committee. Nan was elected a Fellow of the Royal Architecture Institute of Canada in 2004. Upon retiring, she revived her early interest in visual art. She was an excellent pastoralist and her life drawings with watercolour accents were outstanding. She leaves a strong body of work and a large collection of sketchbooks and slides, which form a wonderful visual legacy of her tremendous talent. Nan was a strong, stylish, warm and infectiously enthusiastic woman of her times. 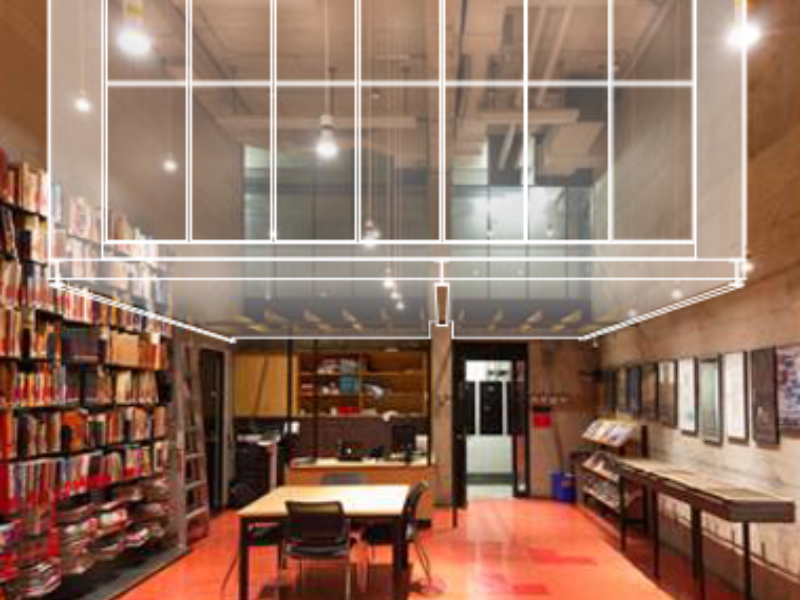 With your support, the School can provide students with a space dedicated to academic reflection and conversation about the past, present, and future of architecture and urbanism and with direct access to special collections.